Thieves stole a safe containing a four-figure sum of money after breaking into a shop in Midlothian. 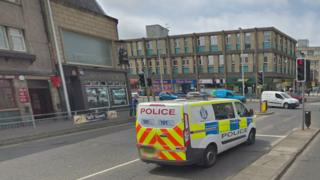 The robbery took place at a store on High Street in Dalkeith between 18:00 on Saturday and 11:15 on Sunday. Det Sgt Jordan Sharp, from Dalkeith CID, said: "The store would have had significant takings in its safe because of the Mother's Day weekend and this may be the reason it was targeted." He appealed for anyone with information about to raid to come forward.